Bishop of Truro says sorry for Prayer Book Conflict | Cornwall For Ever! In 2007, the Bishop of Truro said sorry for the actions of the English government during the Prayer Book Conflict of 1549. He said that the Government had behaved stupidly and had killed many Cornish people. This was the first time that anybody had officially said sorry for the events of 1549. Yn 2007 Epskop Truru a brofyas diharesow a-barth gweythresow an governans sowsnek dres Kas an Lyver Pysadow yn 1549. 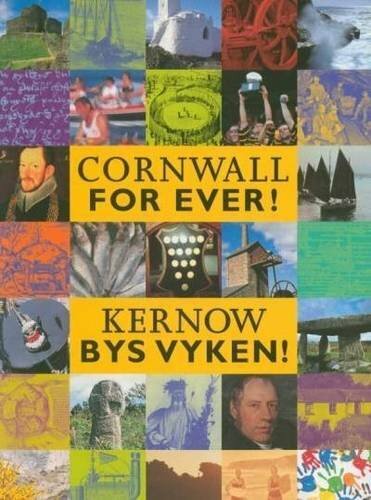 Ev a leveris bos fara an governans gocki hag ev dhe ladha lies Kernow. Hemm o an kynsa prys may profyas nebonan diharesow a-barth an hwarvosow a 1549. In 1997, the Right Reverend Bill Ind was made Bishop of Truro. Bishop Bill was well respected because he cared about Cornwall and its people. He was known as “the people’s bishop”. In 2007, Bishop Bill was given the Trelawny Plate, an award for people who make an outstanding contribution to Cornish life. During his speech accepting the award, Bishop Bill apologised for the actions of the English government in the Prayer Book Conflict of 1549. The Bishop said that the government had acted “brutally and stupidly and had killed many Cornish people”. The Bishop did not think that saying sorry for events that happened 500 years ago would help, but he did think they had been “an enormous mistake”. Bishop Bill’s apology was very significant because he was an important man who represented the Church of England and the government. It was the first time that anybody had officially apologised for what had happened in 1549. The apology also showed a growing awareness of Cornwall’s distinct identity and history. During the Prayer Book Conflict, the English army killed several hundred unarmed Cornish prisoners at Clyst Heath in Devon. This became known as the Clyst Heath Massacre.